Using our God given armor to deal with Spiritual Warfare. 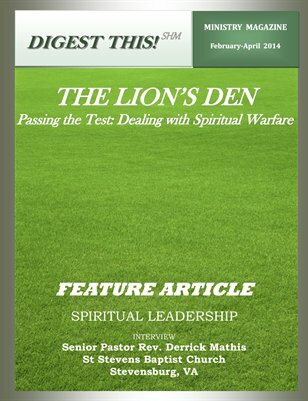 Also, Spiritual Leadership interview with Pastor Derrick Mathis of St. Stevens Baptist Church, Va. So much more! !